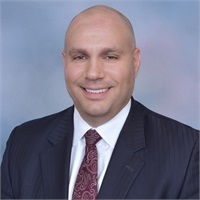 Mike Salvatore is the Associate General Agent at Northeast Planning Corporation’s Cranford, NJ headquarters, where he is directly responsible for driving the firm’s growth and profitability. A highly effective team leader and entrepreneur, he oversees internal operations such as talent acquisition, sales management, training, and supervision of new associates, as well as the Marketing, Client Services, Investment, and Financial Planning departments. Reporting directly to Steven Ferrara, CEO of NEPC, Mike is uniquely positioned to guide the firm’s long-standing tradition of excellence well into the future. Prior to joining NEPC in 2002, Mike served as a Financial Representative with New England Financial, Fairfield, NJ, and as an Equity Trader at Schonfeld Securities, New York, NY. He earned his B.S. in Marketing from The College of New Jersey (TCNJ) in 1999. Northeast Planning Corporation is an Agency of The Guardian Life Insurance Company of America® (Guardian), New York, NY. Securities products and advisory services offered through Park Avenue Securities LLC (PAS), member FINRA,SIPC. OSJ: 1150 Raritan Road, Suite 201 Cranford, NJ 07016 PAS is an indirect, wholly-owned subsidiary of Guardian. Northeast Planning Corporation is not an affiliate or subsidiary of PAS or Guardian.